OnBase Contract Management is one of the online solutions of OnBase, a company that provides businesses with an enterprise information platform to manage content, cases, and processes. 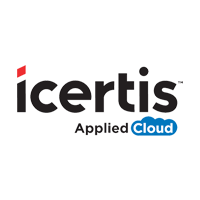 It enables users to create, track, and approve documents online, as well as take action on tasks related to the contract lifecycle. In this article, we cover user reviews. Ready to try OnBase Contract Management? Contact their support team for more information. Users who gave OnBase Contract Management a positive review like its online repository of files and document management functionality which enable them to promote a green and paperless environment at work. They also commended its detailed search parameters, powerful workflow engine, and easy automation of processes. One user who left a positive review on Capterra mentioned that the software’s online document storage feature provides her with quick access to any of her digital files at any time. She also likes that she can search for documents using different search parameters and filters. Users who gave OnBase Contract Management a negative review said that software looks outdated and runs a bit slow. Several others complained about the lack of configuration options when running reports. One user who left a negative review on G2 Crowd commented that the software runs sluggishly. She also shared her frustrations about its slow boot-up and load times. OnBase does not publish its pricing on its website, but according to a third-party site, they have a one-time setup fee that costs $25,000. Interested users can get in touch with OnBase’s sales team to request for pricing details. Ready to try out OnBase Contract Management? Contact their support team for more information. Can users access OnBase Contract Management through their mobile devices? Yes. Users can view contracts, check approval tasks, and capture signatures on any iOS and Android mobile device. How does OnBase ensure that digitally stored contracts are secured and protected? OnBase uses powerful encryption to secure their clients’ important data and information. To protect a user’s contract library from potential server malfunctions, they also create multiple electronic copies of documents on datacenters across multiple geographical locations. Not sure if OnBase Contract Management is the right fit for you? Read our reviews of all top contract management software providers or check out one of these three OnBase Contract Management competitors. Anyone who wants to work with an application that allows you to have a professional profile and effective options that result in a job well done, must take this application into account. We do not have any complaint about your way of working or the options that we make use of afterwards, they have not interfered in any way with our work. We had already informed of this program so as not to have to disappoint ourselves or to consider looking for a replacement quickly, we put all our confidence in this application. Outdated software, such as business software, can cause communication or the OnBase interface to fail. Therefore, file synchronization may be affected due to the delay in the progressive updates. The benefits of using the OnBase software include access to an excellent content management tool. Other benefits of using the OnBase program include an easy-to-learn file storage management system. 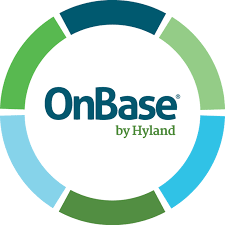 We love OnBase because it allows us to capture information from student transcripts and when entering our system that information saves us dozens of hours of manual work each week. the option to print is not as accessible as you would like. When importing PDF file you can not drag and drop more than one file at a time. If there were the option to import a complete folder it would be a great time saver. Since we used OnBase we have saved apart from time, money. It really has served us well. We enjoy your simple configuration. We recommend it to everyone. It has a powerful workflow engine that allows easy automation of processes, it is also a solid image solution. He does an excellent job in communicating with other programs. Some options are not so easily accessible. The Software license is not always cheap or ideal. Its cost tends to be higher than that of many others. We love it because it is very versatile. I use OnBase daily for my work and it has saved me a lot of time. 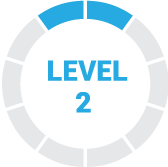 Its configuration is simple and we can quickly organize and process invoices and approvals. Our documents are safe with OnBase for the option that offers you to recover them. In addition, it has also helped us get rid of paper and move to digital without difficulty by allowing us to scan and store. If you do not get used to using OnBase and its multiple tabs, the user interface will cost you to be able to do any activity from this program comfortably. There was never anything about OnBase that bothered us after we learned to use it and to know it in detail, we really agree with this program.